NEW YORK — Unionville High School graduate John Idzik, Jr. was fired Monday as General Manager of the New York Jets of the National Football League. 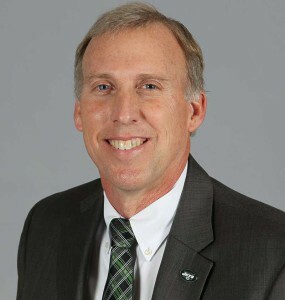 Idzik, 53, was a member of the Unionville High School class of 1978, and attended schools in the area when his father, John Sr., served as an assistant coach with the Philadelphia Eagles. He was fired along with Jets’ Head Coach Rex Ryan — son of former Eagles’ coach Buddy Ryan — after the Jets turned in a 4-12 record this season. Idzik came under increasing fire in New York, with angry Jets fans focusing much of their anger over a number of losing seasons on the GM, who was hired in 2012. Still, it appears likely that the veteran football administrator will likely find employment elsewhere in the NFL. As Vice President of Football Operations, he helped craft the roster the Seattle Seahawks used to win the Super Bowl, and in a similar role with the Arizona Cardinals, built a roster that led to that team’s only Super Bowl appearance. With more than 20 years of NFL front office experience, his stormy term with the Jets — one in which he did not get to pick his own head coach, but inherited Ryan — is the lone blemish on a strong career with the Buccaneers, Cardinals, Seahawks and Jets.